Simmer shrimp in water with salt and lemon juice until just done. Schock in ice water. Remove tails except for 3 shrimps, for decoration. Dice peppers and chili. Chop cilantro. 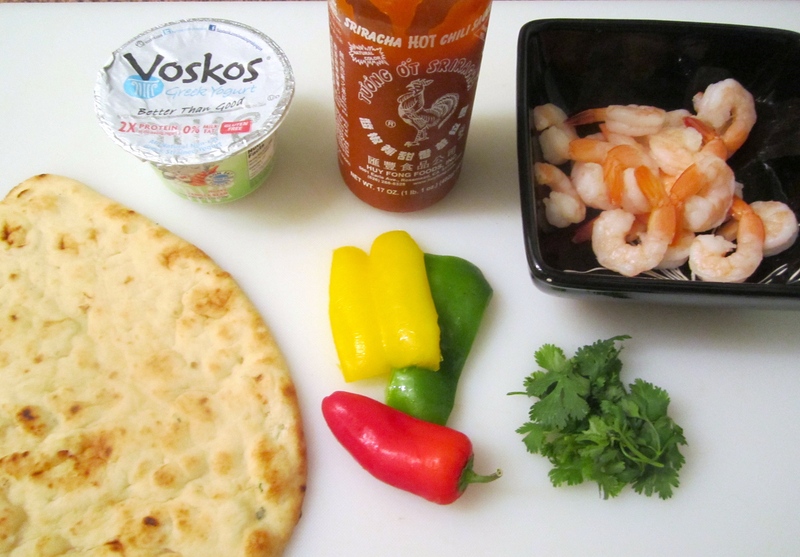 Marinate shrimp, peppers and chili with lemon juice, salt and pepper. Heat the flat bread on both sides under your broiler, adding some more char if you like. Brush lightly with olive oil and sprinkle with Kosher salt and freshly ground black pepper. 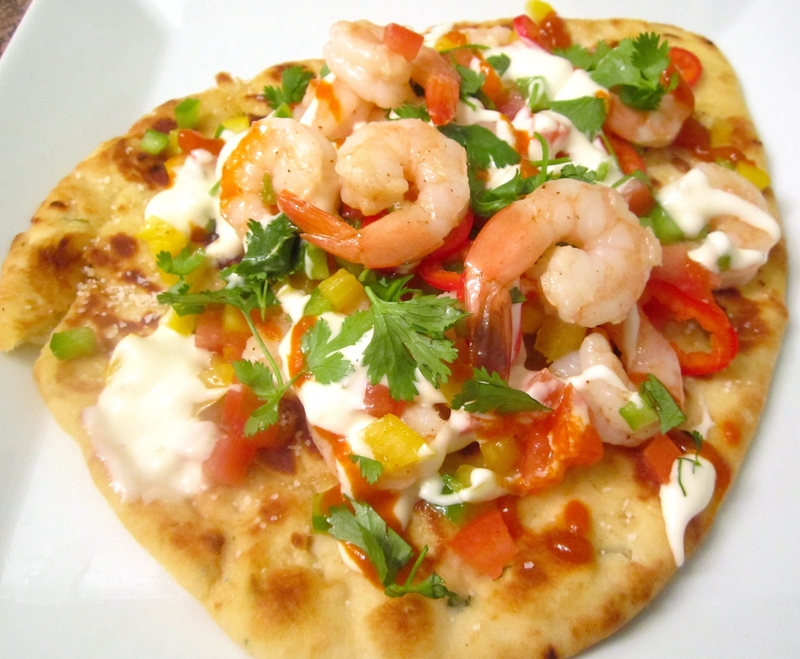 Add shrimp salad to flat bread, drizzle greek yoghurt and sriracha on top. 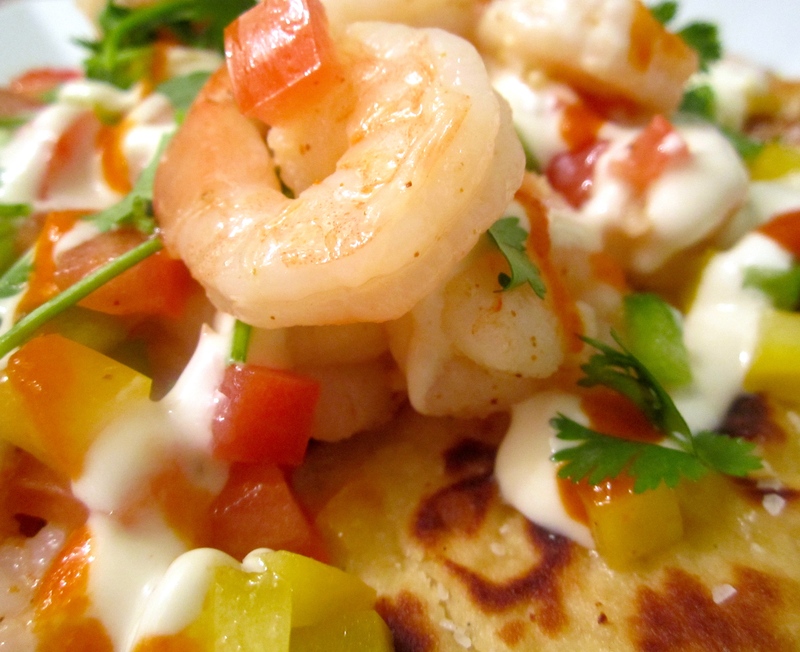 Sprinkle with cilantro and top with tail-on shrimp. EAT ! 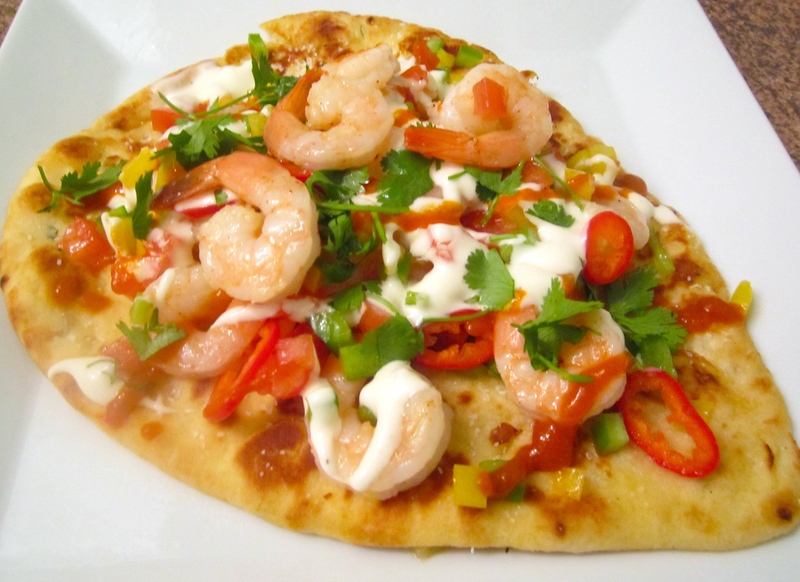 I have been using flat bread for years in a similar style. Very versatile. It is fabulous spread with humus then topped with Mediterranean type messe. Marinated artichokes, olives, rocket, marinated peppers, marinated mushroom, grilled marinated aubergines, sun-dried tomatoes then laced with Tzaziki. Even an unusual breakfast item such as the bread topped with Napoletano (like a pizza) scrambled eggs, bacon and feta. Not only does the presentation look beautiful, it sounds absolutely delicious ! I will definitely put it on my “to cook” list . Yes the pre brining ofthe shrimp give.them great flavor ! Nice recipe !